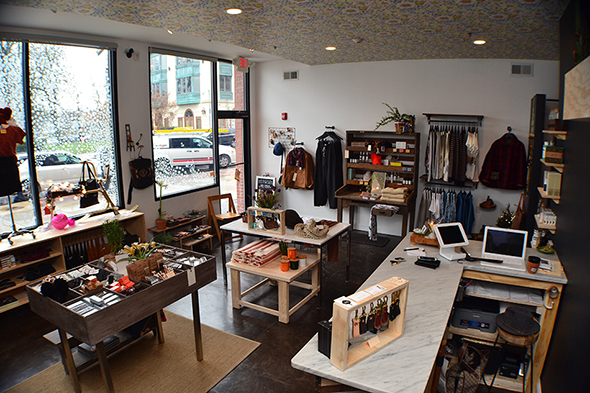 Downtown Asbury Park, New Jersey welcomed another quality addition to its retail mix a few weeks ago. 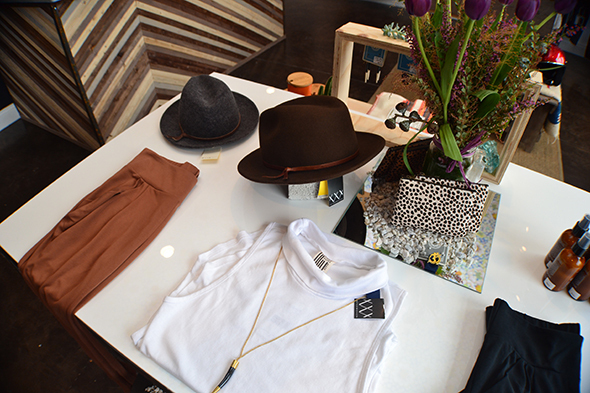 Interwoven is a store offering a curated selection of men’s and women’s apparel and accessories. It’s owned by Bianca Freda (above), an Asbury Park resident who moved down here from Somerset (her husband is originally from Neptune) because, simply put, she was miserable up there. 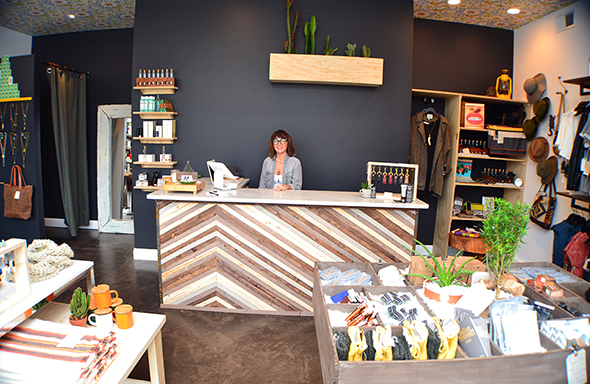 So she did what so many young, creative entrepreneurs have been doing lately and moved to Asbury Park. After graduating from the Fashion Institute of Technology in New York, Freda dabbled in the interior design world before landing a gig with the clothing and home goods retailer Anthropologie (owned by Urban Outfitters). All of that experience led her to open Interwoven. The space at 511 Cookman Ave. (just East of Robert Legere Design Center) is small but packs a huge punch. 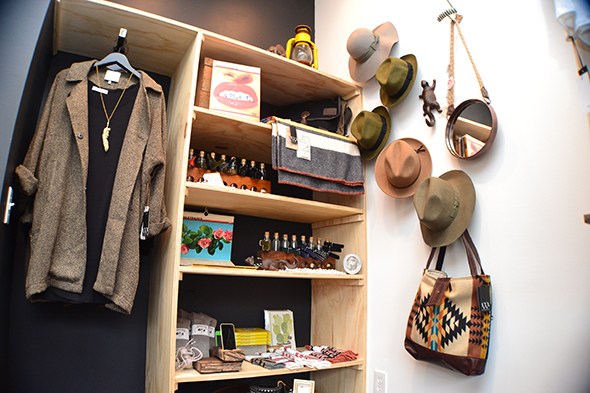 Freda’s design experience shows well with lots of cool elements from hand made wooden display tables and shelving, antique pieces, charcoal colored walls and funky, floral wall-papered ceiling. 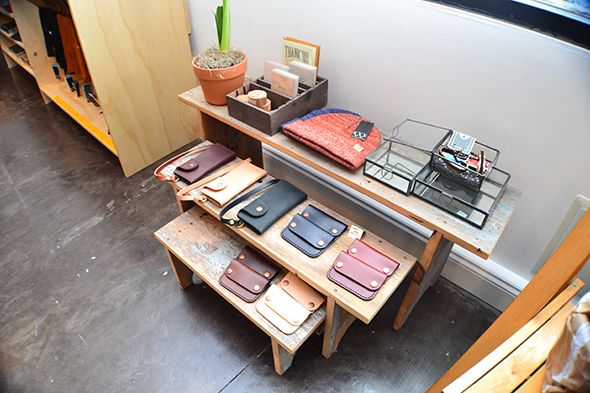 The shop specializes in discovery brands, essentially brands that are small and that have a soul. When it comes to the more recognizable brands at Interwoven, they intensely edit the assortment to bring you what they truly love and believe in. 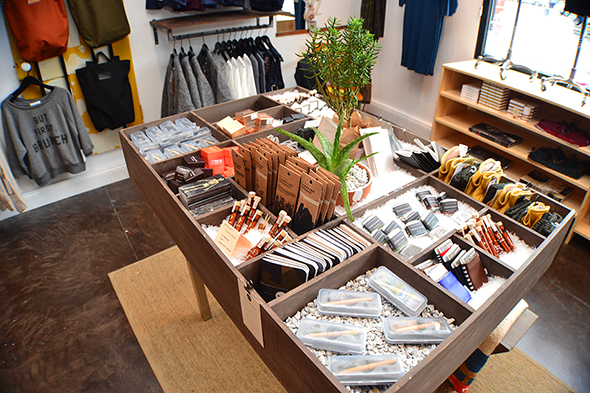 Some of the brands featured, which you may or may not recognize, include Mercy Supply, Day Dreamer LA, Woolrich, Emerson Fry, Daneson, Erica Weiner, Buckler’s, Free People, Kletterwerks, Pointer Brand and many many more. Interwoven finds the items they carry through a lot of research, hard work and dedication – blogs, word of mouth and traveling. Even if you’ve heard of a particular brand at Interwoven, more than likely they’ll be carrying an item from that company that you’ve never seen before. 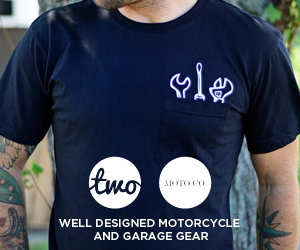 With the holiday season in full swing you’d better be getting to Interwoven to stock up on all your gifting needs. While you’re here check out all the other amazing shops, restaurants, cafe’s, etc. that downtown Asbury Park has to offer. Interwoven is open Tuesday & Wednesday 12-5, Thursday – Saturday 12-7, Sun 12-5, Monday closed. For more information visit interwovenap.com. This entry was posted on Friday, December 12th, 2014 at 12:24 pm. It is filed under FEATURE. You can follow any responses to this entry through the RSS 2.0 feed.